In media awareness, it's important that learners understand the messages in the ad and think critically about them. Becoming a label reader and doing your own research about ads it important. 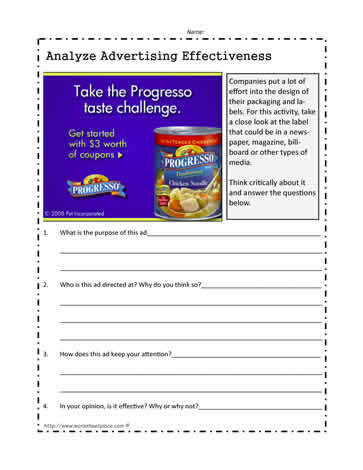 This media literacy worksheet requires you to look at the ad and decide if this label is an appropriately marketed ad. Learn to look for the gimicks and the hidden messages often found in ads.